There are 9 reviews of Fougère d'Argent. First thought was that it has a very common masculine profile. The lavender on top of the ginger and akigalawood seems to be the basic structure. There is something just a tad spice-like in the opening that never quite blooms into being. Overall, it reminds me of the Brut I splashed on after shaving earlier, though smelling of a completely different class of quality. 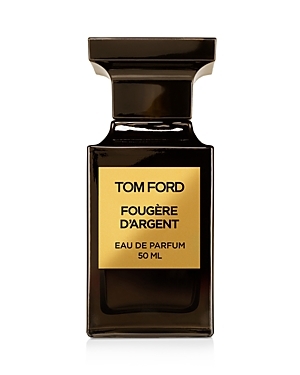 Nicely blended, and I would almost hazard to say subtle for a fougere and for Tom Ford fragrances I've tried in general. It seems like many times that less potent "jump" from the opening in parfums leads to increased longevity, but that is sadly not the case for me here. Granted, I did not moisturize before sampling, but this settled to a skin scent surprisingly quick, and morphs into its final stage in about an hour. Here it is a vaguely woody with a very faint hint of labdanum, but I really have to bury my nose in here to pick it up. An updated version of a classic scent. To me, this is to Brut what Viking is to Old Spice. I like the scent, and an updated fougere would be an awesome thing to have this day and age, but the performance here is just bad. Bad enough that I'm knocking it all the way down to a thumbs down. All I smell is woodyambers/norlimbanol/karmawood, call it agikalarshmood or whatever , smoother than the usuals but stll very much derivative . I don’t dig it. Performance is tepid at best. "Akigalawood is a perfume note created in the laboratory, born from fermentation biochemistry. Givaudan House created this revolutionary ingredient, made from patchouli essence. Givaudan is specialized in the creation of perfumes and aromas. She has just published a book 'Givaudan, an odyssey of aromas and perfumes', explaining all her know-how and her many discoveries. For 250 years, Givaudan has been innovating and infusing new olfactory trends. After exploiting many species, Givaudan created the akigalawood in 2011." A most interesting feature of this brand new offering from Tom Ford! Fougère d'Argent is a textbook men's fougère scent, which usually includes lavender (chemically coumarin-rich licorice herbal sensation), oakmoss (damp creamy woody aura), and coumarin proper (vanilla-hay scent) - except now it includes the fascinating patchouli-like akigalawood in place of controversial oakmoss. Citrus mandarin and ginger mesh well with labdanum (rich brown resin derived from the cistus shrubs of the species rockrose). Result is a strong, aromatic, fresh and spicy fragrance that does the fougère designation proud! Not an in-your-face beast mode scent, but a medium strength, masculine creation that is clean and long-lasting. Fougère d'Argent (2018) is the first fougère entry in the Private Blends collection that is explicitly described as such. This is also likely the first time the 'ol fougère category has seen any sort of prestige release from a perfumer since Parfums MDCI released Invasion Barbare (2005) to both critical acclaim and backlash (depending on the size of the person's wallet doing the critique). Fougère d'Argent doesn't seem to go after that "I drive a leased Rolls Royce when I could have bought a BMW" segment of men who see Patrick Batemann from American Psycho as some sort of hero instead of the twisted product of society that he is, but instead aims for the guy that loves his Rive Gauche Pour Homme (2003) and wishes Tom Ford never left LVMH. Well, just in the same way that Tom Ford for Men (2007) was the idea for Gucci Pour Homme (2003) cannibalized, re-purposed and taken upmarket, Fougère d'Argent feels like the concept for Rive Gauche Pour Homme updated with modern IFRA-compliant materials and a few new twists to the fougère story. 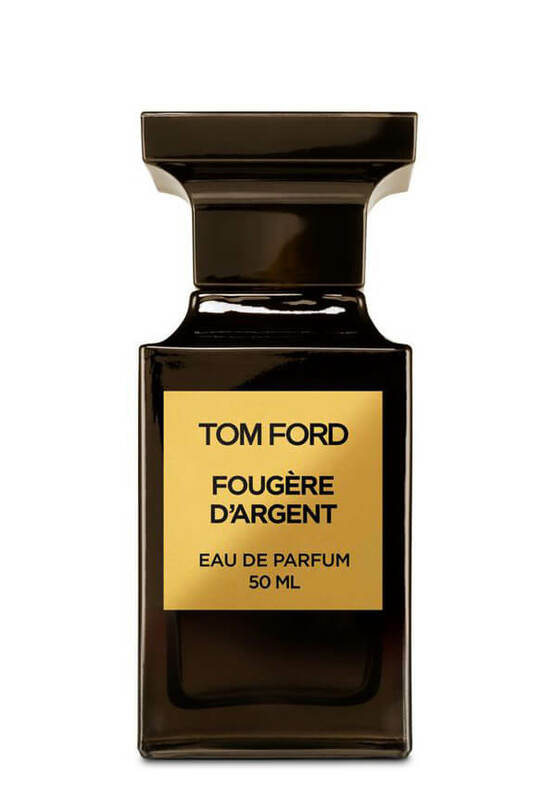 Sadly, we don't know what nose created this for ol' Mr. Ford, but the overall effect of Fougère d'Argent is a richer, slightly sweeter, and more decadent fougère that can hold up to nightlife, romantic use, but also come out swinging in the 9 to 5 day at the office due to it's parfum strength, especially if you crashed at your date's house the night before and can't shower. I quite like what was done here, and although as a Private Blend it is a bit more pricey than the usual Tom Ford signature fragrance, it actually feels more at home with them in style than among it's own kind. I'd almost wave the usual niche sample-first warning with this one because it's so "in the pocket" as far as fougères go, but I also can't speak for everyone else, and it's easy enough to find at a department store to try. Fougère d'Argent opens with mandarin orange, a smidge of bergamot, sweet French lavender and ginger. This one really flirts with being an oriental but stays the fougère course thanks to the dominant lavender in the mix. The opening isn't really what draws Rive Gauche Pour Homme comparisons, as at this stage it just feels like a spiced up 80's fougère with it's soapy orris and smoky vetiver switched out for the mandarin orange and ginger, like Calvin Klein Obsession for Men (1986) got in on with the later Calvin Klein Eternity for Men (1989), and this is the child resultant. Going forward, clove, cistus labadanum, and a newcomer called agikalawood make an appearance. Keep your eyes on that last one kids, because if it takes off in this fougère, it could set off a chain reaction that sees another fougère era with every major designer from $200 a bottle down to $20 (including Avon) making their own moss-free fougère with either real agiklawood or some chemical proxy leading the charge. I still think this genre is not complete without oakmoss, but unless more designers take a cue from artisinal perfumers and tell IFRA to shove off, it ain't happening. Agikalawood is a bit sweeter, since it is related to the patchouli plant, but it does have a smidgen of the dank buttery heft real oakmoss contains, and is a sure sight better than whatever else is going into reformulations of classics these days. The base is of course going to be coumarin, musk, and amber, because what memorable fougère doesn't have at least two of those? Fougère d'Argent is still a little lighter and sweeter than Rive Gauche Pour Homme by the end of it's wear, but is closest by this point and a far sight more masculine than any of the late 80's and early 90's "fresh fougères" that plagued the designer realm. Fougère d'Argent dries down to a tonka note laced with musk, spices and ginger, and glimpses of the lavender, clove, and citrus resurfacing depending on the way air hits skin. The akigalawood doesn't really have a unique trail all it's own, but that's probably not why it's there. I feel this could have been a signature line scent and was only placed in the Private Blends collection because it's ingredients are too expensive in the 21st century to warrant a designer price tag, since this stuff has the same equivalent performance, quality, and style of golden era masculines that vintage hounds fawn and fight over on eBay. Yeah, yeah, yeah, I know this is technically unisex like all Private Blends, but who are we kidding? This is the 1980's channeled through the revisionist style reminiscent of 2000's Tom Ford-led LVMH but produced by modern Tom Ford perfumers with a niche budget so it doesn't smell like the 135th reformulation butchery Proctor and Gamble has done to Old Spice (1937). I also really like how "Fougère" is in the title of this one, like an even older throwback nod to the very first Fougère Royale by Houbigant (1882), as if Tom Ford was trying to make a bookend to the genre, but that would imply he was done making fougères, which is very unlikely given his track record for vintage-inspired masculines. The price may be a bit stiffer than some would like, but I'd certainly spend the money on this over the majority of what passes as "prestige" today, or even most of what Tom Ford pumps out in the Private Blends. There are definitely better examples in this category, but literally all of them are in the past, so with that in mind, I welcome this as a "where there's a will, there's a way" example of keeping traditional perfume designs alive for the future, and it's a damn good barbershop scent to boot. As one of the rare few examples of a romantic Fougère, I'd keep this to night time use and chill weather, but considering the cost, you can do whatever you want with it if you buy a full bottle. Fougère d'Argent is a parfum, and has plenty of oomph, so don't go trigger-happy like you might normally with a scent of this type, or you might find yourself without a date after too long. Sweet and spicy upfront, but not loud or obnoxious. Everything from beginning to end is very refined and restrained. As it starts to drydown you get more into the greener aspects but with a slight woody-smokiness. The last stage for me was a clean shaving cream scent that started to make itself known. Very interesting, pleasant and modern and without any screechy or begging for attention notes. Feels like a refined daytime scent good for all seasons. Projection is just above average but longevity is very good, lasts 12+ hours. Tom Ford Private Blend Fougere d'Argent Eau de Parfum 1.7 oz. There are no member images of Fougère d'Argent yet. Why not be the first?